On August 2-3, I attended the 5th biennial Money for Our Movements (MFOM) social justice fundraising conference in Baltimore, Maryland, convened by the Grassroots Institute for Fundraising Training. I felt really humbled to be amongst a highly diverse group of both budding and seasoned grassroots activists. The last time I was in Baltimore was in 2007, with Amnesty International at their regional conference, attending as a bright-eyed student organizer trying to learn how to more effectively spread the good word of social justice and human rights (the story of how I got involved in nonprofit marketing!). 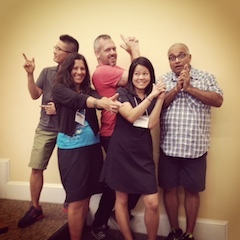 At #MFOM14, I participated as a speaker, leading one workshop, Email Marketing to Support Year-Round Online Fundraising, and as a panelist for the session, Visual Communication: Create pictures, videos, and presentations quickly, easily, and affordably. Fundraising is dependent on relationship building: Nonprofits should work year-round to cultivate and maintain relationships with donors, so that “the ask” is not a cold call at the end of the year. Channels such as social media can really help with this. Think about goals and audience: Before youcreate content, first think about the ultimate goal and the target audience. Let that inform your decisions on what channel(s) to use to reach your audience. For example, if you’re trying to reach new donors, consider participating in #GivingTuesday (in addition to running your year-end campaign) to help increase visibility by connecting to this broader movement. 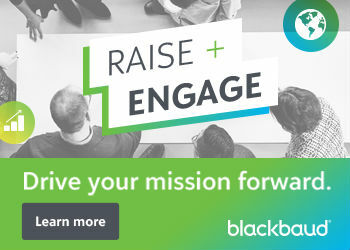 Download this free recording from Blackbaud’s webinar about setting your goals for #GivingTuesday. Set your own benchmarks: Guidelines, benchmark reports, and best practices are helpful to know, but ultimately it’s important to know your audience. To learn this, test as much as you can in order to get to know your audience well and understand what resonates with them. For example, consider creating a strategy for segmenting your emails and testing, this is a great resource from Kivi Leroux Miller. Everyone is a fundraiser: People donate to entire organizations, not just to one department (or silo). Make sure you’re set up for integrated fundraising success by regularly checking in with staff/departments to ensure that you’re accurately representing their work. Learn more about the three common barriers that nonprofits often face on Nancy Schwartz’s blog. To learn more about how you can use email marketing to support year-round online fundraising, I’ve uploaded my slides to Slideshare. Together, we joined forces and presented on the top tips and tools for creating visual media with a limited budget, and explained why it’s so important. We drew information from Resource Media’s Seeing is Believing report, and explained how the language of pictures is universal – picture processing is an ability that we’re all born with, as opposed to reading literacy. This is especially relevant if you’re working with audiences around the world that communicate in multiple languages, or are illiterate. Stock Images: Noun Project (for icons), CompFight, Flickr, and Thinkstock. We also asked the audience what tools they would recommend through Poll Everywhere. Here’s what they said. Special thanks to the mighty team at the Grassroots Institute for Fundraising Training! To learn more about the 2014 MFOM Conference visit the conference website, and check out the conference hashtag on Twitter: #MFOM14. What are some email marketing tips that work for you and your organization? What free or low-cost tools do you rely on for creating visual media?